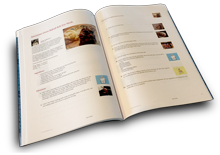 What a great idea for a cookbook, wonderful recipes, and thank you for including mine! Thank you for including me in your recipe book, This is message #2. I was sending you a message when they had problems with the cimputer. how are you doing ??? Well I can believe it Nancy...this is really an amazing book....thank you once again for adding one of my recipes...YOU TRULY ROCK!!!!! this makes number 661 ... cookbooks!!!! !